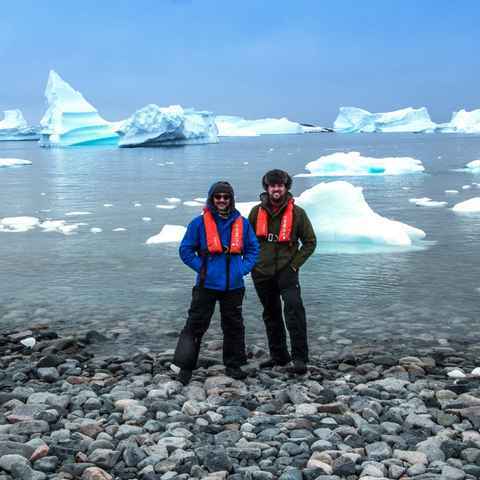 So you’ve decided you like the idea of a trip to Antarctica, but before you get too excited you want a sound understanding of the likely costs involved. ​Let Swoop's deep knowledge and valuable insights help ​guide ​you​. There are a lot of significant variables which influence price, and no two ship operators are the same. The size of the ship, standard of accommodation, and quality of food and service all play a part. But there are less obvious factors too: the calibre of the expeditionary staff, what clothing is provided, whether wine is included, staff to passenger ratio and the variety of complimentary activities. Price and budget are important, but value is very different. That's why we take the time to make sure that you get as much as you possibly can from your once-in-a-lifetime trip. Do Antarctic boat operators offer discounts? They do, but they tend to reward those who book early (+10 months in advance), rather than slash back prices at the last minute. These smaller boats don’t suffer from the same inventory issues as larger cruise ships, so availability is often a bigger issue than price. Early booking incentives can be $1,000 - 1,500 off the voyage price per person, a hefty potential saving for those travellers that can book ahead. Note that not all ships offer an early booking incentive and these offers always have a deadline. Get in touch to find out what's available. Will I get a better price booking early or late? In Antarctica, the best deals are to be had by those willing to commit early. Not only do certain boat operators offer an early booking discount of up to $1,500 off per person for a specified period, but booking early also ensures that you secure your preferred voyage and cabin, rather than sifting options at last minute which may present limited leftover choices. Is it cheaper to book directly with the ship operator? No, you will pay exactly the same price whether you book directly or through an agent like Swoop. The prices of voyages are set, and many ship operators don’t accept direct bookings. Is ‘price’ a good criteria for choosing the right trip? Budget is always important, but needs to be considered in the wider context of what you are looking to achieve. There are so many other variables involved, that price in isolation isn’t an accurate measurement for good decision making. To ensure that you end up choosing exactly the right voyage for you, many other factors need to be taken into account. This is where a specialist like Swoop is invaluable by taking the time to listen and understand your ‘brief’ and what’s important to you, and then hand picking a small selection of carefully chosen options for you to consider. Why does an Antarctic cruise cost so much? There’s no way round it, any trip to Antarctica is expensive and this is simply down to the remoteness of the destination and the costly logistics to get there. Ice-strengthened ships are very expensive to build and maintain, there's the ship's staff to look after (which can easily total more than 80 people) and then there's the actual fuel to run the ship. Fuel is a significant operating cost and is much more expensive to purchase in the remote areas where they can only re-fuel due to the added transportation costs. It's a costly endeavour for all concerned, however Swoop has never had anyone return from Antarctica who didn’t think that it was well worth the investment. What's typically included in the voyage price? High Season: Mid-December to late February are regarded as the ‘High Season’. The weather and wildlife are at their best, and there is a high demand. Shoulder Season: November and March, at the beginning and end of the season, are regarded as the ‘Shoulder Season’ months. Both are still great times to experience Antarctica, but prices are typically 10 - 25% lower, depending on which ship you choose. For travellers wanting the best of the shoulder season, December is a very good time to travel. There are long days during which you can explore, benign weather, plentiful wildlife activity and shoulder season pricing. Is the high season premium worth it? Everyone has different criteria, so this is a hard one to answer. What is indisputable is that Antarctica is a once-in-a-lifetime trip, and the key is choosing exactly the right trip for you. This will ensure you get the very most out of the experience, with budget being an important but often secondary consideration. For us, the combination of longer days, more stable weather and the wildlife at their most active during high season justifies the 10 - 25% higher price, but it does depend on what’s important to you. Photographers, for example, really like November for the soft light, heavy ice conditions and spectacular skies, while February and March are traditionally best for whale sightings. How much more does it cost to fly to Antarctica? The perception that flying is more expensive than sailing holds true in Antarctica. Expect to pay approximately an extra 20% if you choose to fly both to and from Antarctica. This premium is largely attributable to the expensive charter flights to Antarctica which require specialist aircraft and highly experienced pilots. The increase in the number of voyages now offering a combination of flying one way and sailing the other, and utilising cheaper scheduled flights via The Falkland Islands instead, has made flying to Antarctica more cost effective, and provided greater choice. Will it cost extra if I’m travelling solo? 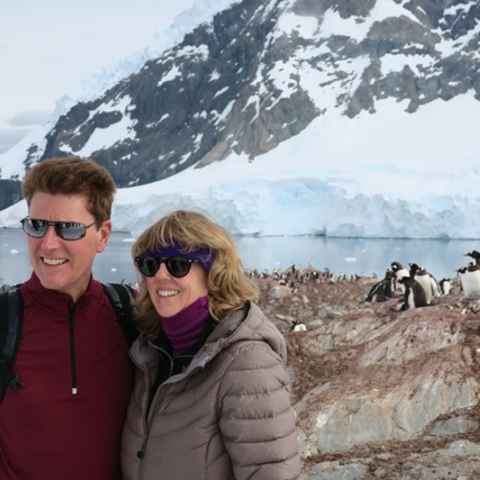 We’re increasingly seeing more intrepid families heading to Antarctica, and with this change some Antarctic ships are becoming more family friendly, both with the activities provided and on pricing. The child and teenage discounts available vary considerably, with the most generous offering 25% off young travellers under 18 and 15% for those between 18 - 21 years old. In conjunction with an early booking discount, the savings can be really quite significant. For more details on how best to travel to Antarctica with your family and securing the best price, do get in touch. It was the perfect choice. For the price we paid we definitely feel the trip delivered. Also don't forget: this is not a luxury cruise, this is an expedition. Glad I booked with expert on polar trips, I was more than pleased with the voyage and I was very well guided to what I was hoping to do. Swoop staff were always very helpful, and your help with booking flights was invaluable. The trip was fabulous. And it did live up to our expectations. If you are considering it, then just go. It is worth the cost.